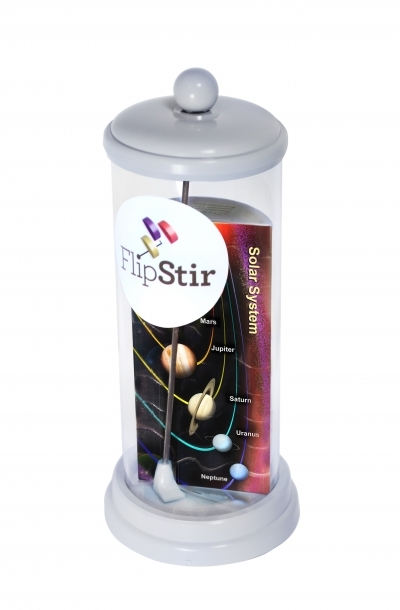 FlipStir Puzzle - Level 2 "Solar System"
The award-winning FlipStir puzzle is a self-contained, 3D puzzle - Puzzle fun all-in-one! No lost pieces. No batteries. No rules. Just use the wand, gravity and your own ingenuity to solve the puzzle and reveal the artwork! I love that it's 3D puzzle, and self contained, no lost pieces. Very creative way to solve a puzzle. Puzzles are so good for challenging kids thinking and getting them problem solving. Super happy about this puzzle.